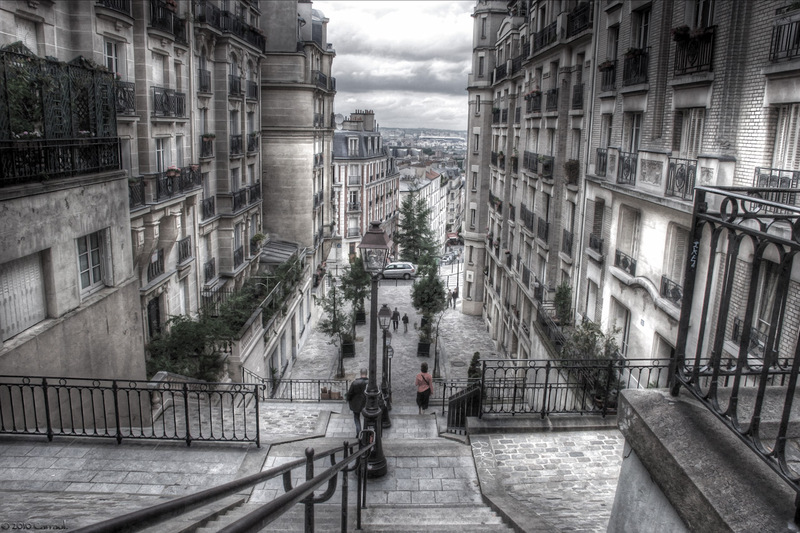 With it’s rustic cobbled alleys, cozy cafes and secluded garrets peeking from centuries old buildings, it’s easy to fall head over heels with Montmartre. Although Paris is most famous for the Louvre and the Eiffel Tower, I find it’s the hidden corners and romantic neighborhoods that truly give the city its enchanting flair. The ancient city, which was once a part of the Roman Empire, is made up of 20 distinct neighborhoods, called arrondissements in French. Every street is a treasure to the senses in France’s capital, but in my humble opinion, the chicest of all the districts is the 18th–otherwise know as Montmartre. 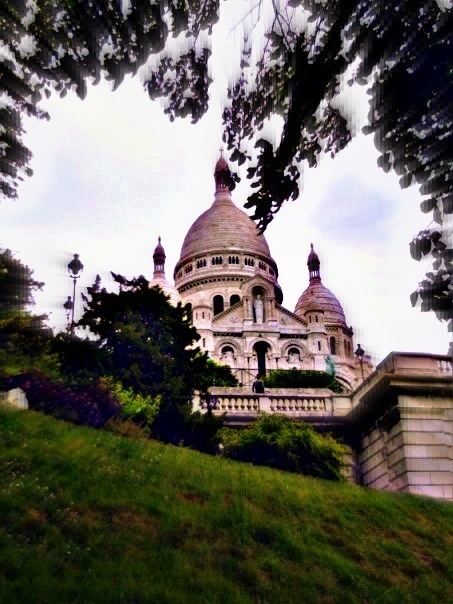 Perched on a hill boasting the famous Sacré Coeur Cathedral, visiting Montmartre is like stepping back in time. In the neighborhood’s main square, street artists hawk watercolors of the Seine, carts tumble with flowers for sale and every corner offers an intimate café where it seems possible the ghosts of Hemingway and Fitzgerald may lurk. 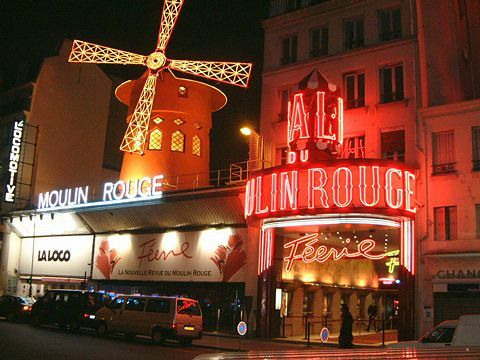 Another landmark in Montmartre is the infamous Moulin Rouge cabaret, with can-can dancers performing nightly just as they did at the turn of the 20th century. To walk through a misty evening atop the hill of Montmartre, the lights of Paris twinkling to life below, is chic in its purest form. Love the pics? What camera do you use? Thanks for reading Margaret! Sorry to say, I didn’t take those pictures. 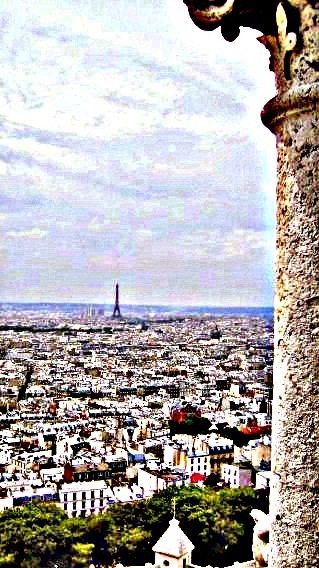 I need to get myself a camera other than my iPhone! Don’t sell the iPhone short! My best photo app is Snapspeed.